From subtle changes to major repairs, there are a vast array of procedures Dr. Hervas and his team can use to enhance your smile. 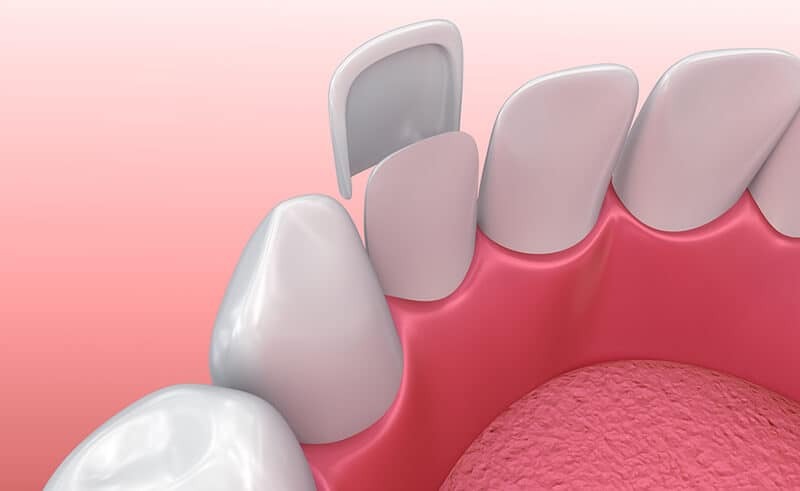 For instance, dental veneers are thin pieces of porcelain or composite resin that are placed over your teeth to reshape them, as well as brighten their natural color. They are also placed on teeth that have shifted, are crooked, discolored or oddly spaced. A veneer can be made from porcelain or composite. Porcelain and composite resin differ from one another in various ways, and each material is associated with its own pros and cons. Porcelain is very durable, resists staining, and lasts approximately 10 to 15 years. Composite resin is not as costly as porcelain, and lasts approximately 7-10 years. However, it is not as stain-resistant as porcelain. A porcelain veneer must be replaced if it breaks, but a composite veneer can usually be repaired using composite and bonding material. The procedure begins by taking an impression of your teeth or scanning with our intraoral Trios® scanner. After this is accomplished, approximately half a millimeter of enamel from your teeth is prepared to ensure that the surface does not become unnaturally thick after the veneer is installed. The veneer is then permanently attached to your teeth with dental cement on a process called bonding. The restoration must be evaluated for its color and fit and ensure that it is the proper size before its permanent bonded. In numerous instances, especially if you have sensitive teeth, you can expect to be given a local anesthetic. This ensures you do not feel any unnecessary discomfort during the procedure. Composite veneers can be applied in a single visit, which takes approximately an hour. Creating the temporary mold and perfecting its appearance takes approximately 45 minutes, and then applying the veneer is usually completed in five to 15 minutes. A porcelain veneer, on the other hand, must be sent away to another facility where it is created, and therefore two visits are required: one for the “fitting,” and one for the application of the veneer. You can expect little or no recovery time after the veneer is applied. Additionally, with the exception of slight gum swelling, there are virtually no side effects of the procedure. It is wise to make an appointment with Dr. Hervas, a board certified prosthodontist at Implantation Dental Center to determine whether or not you are good candidate for this procedure. A detailed information concerning the advantages and disadvantages of dental veneers will be discussed. A consultation of this type simplifies the decision-making process, as it offers the opportunity for you to ask questions and have your concerns addressed. The biggest benefit associated with cosmetic dentistry of this type is a beautiful, attractive and confident smile. In fact, this real patient testimonial tells the story of an Implantation Dental Center patient who’s smile was recently transformed!